2008 marks the 50th anniversary of the British Touring Car Championship, and series organiser Alan Gow has pulled out all the stops to make sure this season is a fitting tribute to the shoot-out that saw Jack Sears triumph over Tommy Sopwith. With Silverstone back on the calendar after a year away and races all over the country, there's every reason to head to your local track for a weekend, but if you can't stretch to that, a bumper deal with ITV that promises 76 hours of live coverage to your living room is sure to satisfy you. As if that's not enough, a batch of new drivers from the worlds of single-seater and GT racing have arrived to challenge the dominance of Fabrizio Giovanardi, Jason Plato and Matt Neal. Giovanardi starts the season as the man to beat. The 41-year-old Italian claimed last year's title at the final race of the season as his Vauxhall team-mates did their best to stymie the challenge of Plato's SEAT. An improved Vectra, plus new team-mates in the shape of Neal and Tom Onslow-Cole, should see him raise his game still further a frightening prospect for the rest of the field. Onslow-Cole will be looking to build on his rookie year in the WSR-run BMW that made him a race-winner. Two-time champion Neal, however, is determined to prove that he can win the title away from the comfortable surroundings of his father Steve's Team Dynamics line-up. Neal's old adversary Jason Plato and SEAT has a new car in the shape of the Leon TDI, which replaces the petrol-powered version that won nine races last year. Testing form has been inconclusive, with the cars of Plato and Darren Turner typically lying just inside the top ten. SEAT say they are simply adapting to the radically different weight distribution and the increased front tyre wear that goes with it, but rivals are not convinced, with speculation of sandbagging in a bid to avoid performance penalties like the kind seen in the WTCC spreading through the paddock. Both have been put in the shade over the winter by the BMW runners, who must fear a weight penalty of their own after dominating the recent test days at Snetterton, Rockingham and Brands Hatch. Mat Jackson has been the big star in testing, but it will take time to see how much of that is down to the two-time race-winner and how much comes from the fact that the BMW Dealer UK squad is running the ex-RBM BMW that took Andy Priaulx to last year's BTCC title. Such facts are unlikely to matter if he goes and wins the title, but the general consensus among the top teams is that it is the WSR team of Colin Turkington and Stephen Jelley who pose the biggest threat to the established order. 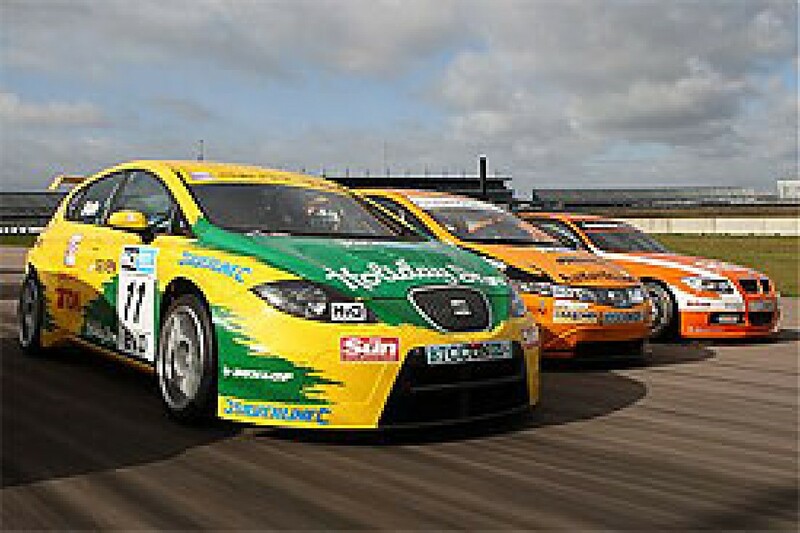 Turkington is the bravest driver in the series, and probably just about the fastest as well. If he can come off best in the wheel-to-wheel stuff for a change, then he could well bring the championship trophy back to Belfast. Jelley is unlikely to pose the same threat, but the Formula 3 convert has surprised many in testing with his closeness to the team leader and is likely to be in the mix when it comes to the reverse-grid races. And it would not be a BTCC grid without Team Dynamics now would it? Neal may be gone, but a strong driver line-up remains with Tom Chilton moving across from Vauxhall and vowing revenge on his former employers in the shape of the title. Gordon Shedden is, unlike Chilton, the quiet man of the championship, but third overall last year shows a talent that could easily go all the way if things fall in his favour. Mike Jordan's Eurotech team return with an expanded two-car team of Honda Integras. He and son Andrew are the oldest and youngest drivers in the series, but that should not be an excuse to write either off. Son has proved faster than father in testing, but Mike has proved over the past two seasons that he is to be written off at his peril. Dave Bartrum's Motorbase squad have traded in their SEAT Leons for a pair of BMW 320s, and the combination of veteran Rob Collard and former McLaren/Autosport/BRDC award winner Steven Kane a series debutant should push the team towards the front of the pack. Don't expect them to finish ahead of the WSR or Jackson cars too often though. duffed out of one at the wet Donington weekend last year within sight of the finish. Arkas Racing expand to a pair of Vauxhall Astra Sport Hatches, and should be in a better position than last year with Martyn Bell on board to partner Erkut Kizilirmak and lend his track knowledge to the Turk. He needs to get used to front-wheel drive though after 11 years in BMWs in various series. 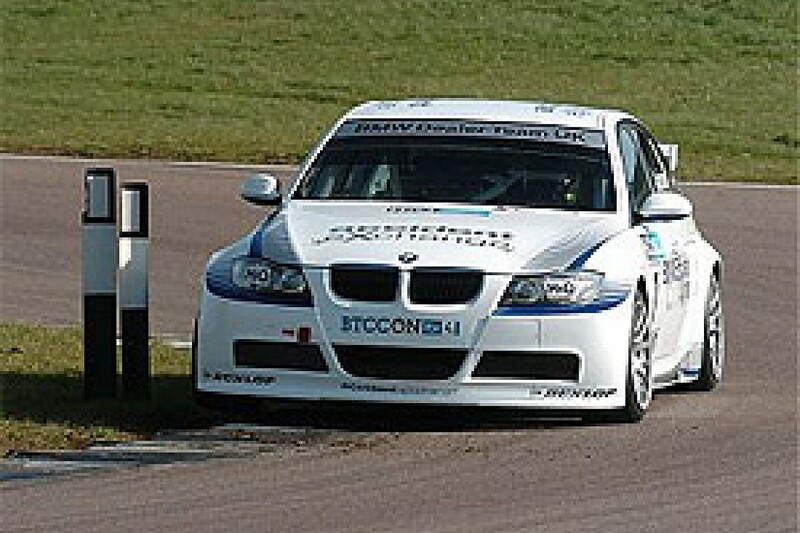 The Lexus presence in the championship is maintained as BTC return with two cars for Chris Stockton and Stuart Oliver. Nobody in the field has more four-wheeled titles than Oliver, although his one European and seven British Truck Racing titles probably won't do him too many favours in the rough and tumble of the BTCC. Gareth Howell will stand in for one or the other at three rounds and will certainly push the team forward with his development skills after penning a late deal to become test and reserve driver. John George is back with his TH Motorsport Honda Integra and will likely be pitched into a battle with Jason Hughes, the KWR driver who will switch to a similar car once he completes the purchase of the machine from Dave Pinkney. In the meantime, he will start the season in his ageing MG ZS. Robertshaw Racing steps up from the Renault Clio Cup to run a pair of Chevrolet Lacettis plus a Honda Integra, and is by far the best prepared of the rookie teams. Expect Matt Allison to head the charge. The former British GTC champion has turned in regular top-ten times in testing after switching over from Motorbase. Allison will get points on a regular basis, and with reverse grids almost certain to put him high up on the grid in some races, he will be well-placed to give Chevrolet their first BTCC win since 1975. Harry Vaulkhard makes his BTCC bow in the second Lacetti, but the reigning SEAT Cupra-R champion will have to fight hard to test Allison's resolve. Alan Taylor completes the line-up in an ex-Sibsport Integra, and it will be interesting to see how the challenge of running two totally-different cars (one built to BTC regulations and two on a Super 2000 platform) is dealt with. Michael Doyle's In-Tune Racing squad was a regular rival of Robertshaw's in Clios, and the 20-year-old Scot again takes on a driver/manager role. His ex-Tom Chilton Honda Civic is a bit long in the tooth though, and will not see much development over the year, leaving it up to the driver to haul it up through the field. An intriguing addition to the series is Team 48, which has been set-up by former England footballers Luther Blissett, John Barnes and Les Ferdinand among others. Intriguing not because they will be fighting up-front, but because Blissett has heady aims of entering Le Mans and is pinning his hopes on a crew light on experience in a bid to pack the team with personnel from a wide range of cultural backgrounds. Drivers Matthew Gore the first Jamaican to race in the BTCC and Darrelle Wilson, are both rookies, and have yet to turn a wheel in either of the ex-A-Tech Alfa Romeo 156s that they will run. And with minimal testing through the season, they have a lot to learn. An unexpected absence from the entry list was AFM, but the tiny team do intend to race this year. Electing to withdraw their championship entry in order to get around the early-season testing restrictions looks to be a wise move for the squad, who still need to develop the new sequential gearboxes of their diesel-powered BMW 120s. Expect to see drivers Rick Kerry and Nick Leason on the grid from mid-season onwards. Dave Beecroft's Xero competition squad, by contrast, surprised everyone when they ran a Lexus IS200 at Oulton Park just a week ahead of the season-opener. The Cheshire-based team had been expected to join the likes of A-Tech, Quest Racing and Sibsport on the sidelines, but Nick Adcock's day behind the wheel means that he and Mark Jones could yet find themselves onto the grid over the coming races. So what are you waiting for then? With such an exciting season in prospect, and the boiling-over of emotions and egos almost as inevitable as the panel-bashing, you would be mad to miss it.